I had a problem trying to rename pvr shows that I record to be shown correctly in plex the naming that npvr records in was not liked by plex so decided to troll the net for a program and came across filebot it was showing that its a paid program but managed to find on older version that’s free to use. You will need java to run it once downloaded unrar the files and put in a folder. Double click the filebot.exe to run the program. 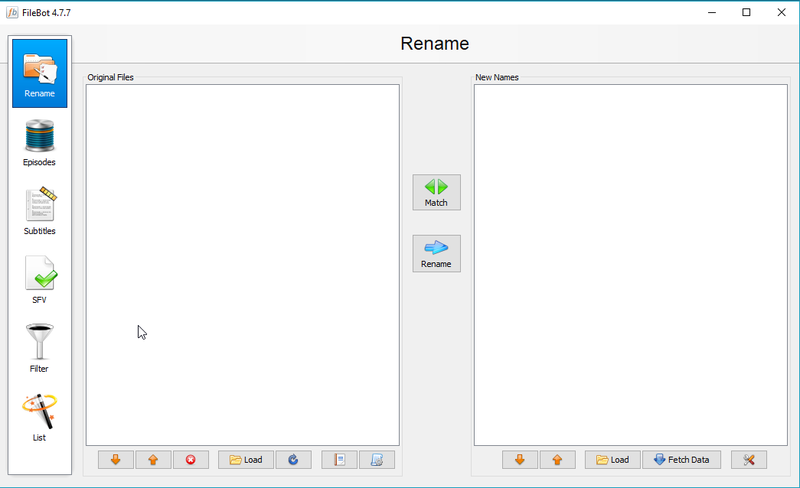 Once loaded you will be presented with this screen go to rename icon which should be already highlighted and then press load button. 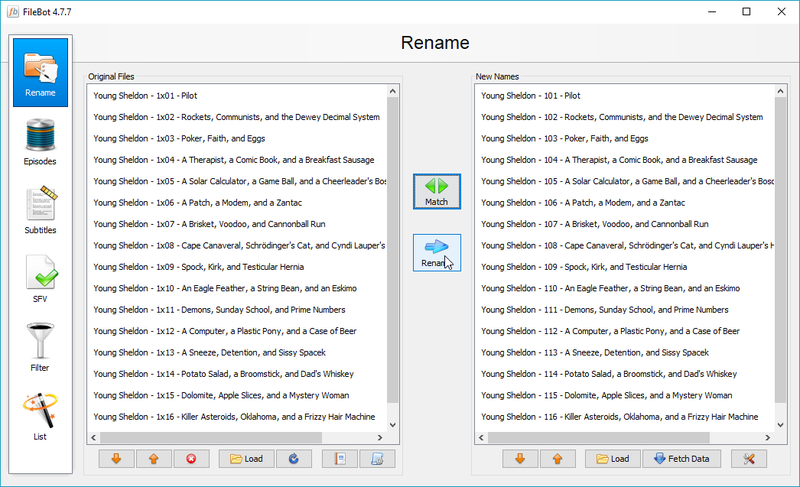 This will is here you find your shows you can either load a folder for with multiple files inside or a single file press open once you have highlighted your file of folder containing your shows. 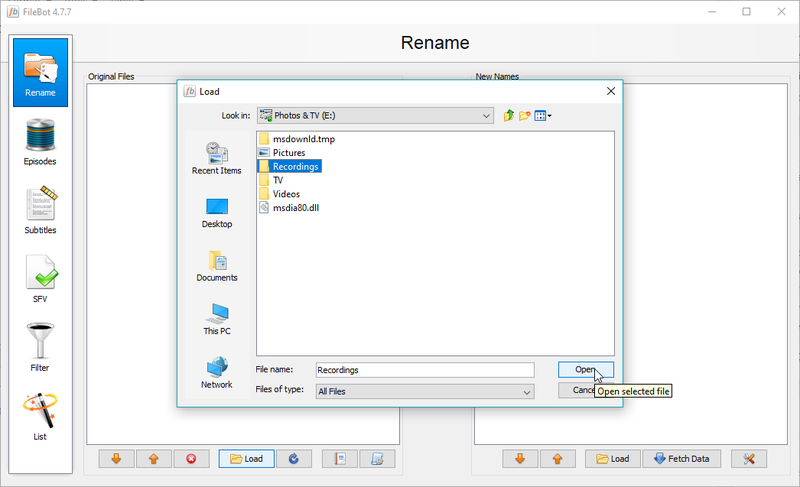 The original filenames are now shown now click match and press on theTVDB iscon for tv shows it also finds other formats music, movies and anime. 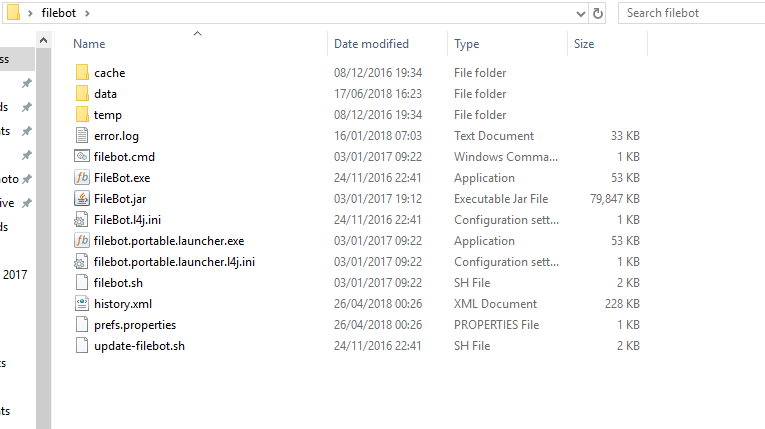 This will then match the files to the correct name as you can see mine were already correctly named as I have not unnamed examples to show as I do this how to but if it comes up in red its not a good match just keep that in mind. 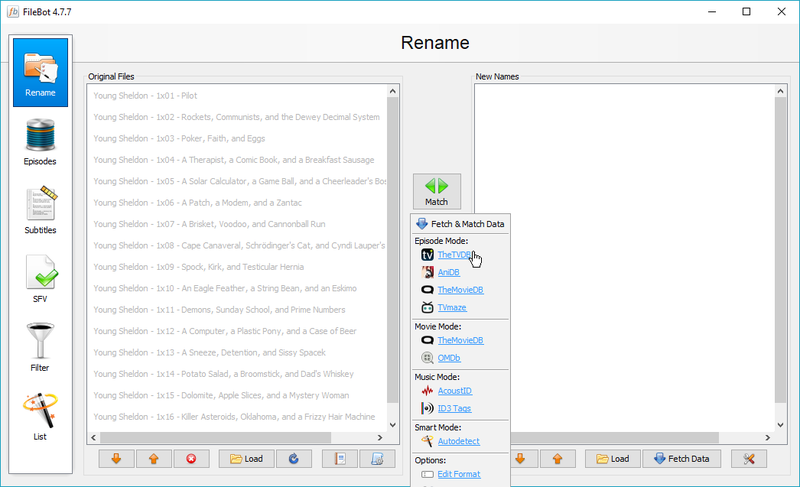 If it is a good match then just click on the rename button and let it rename the files for you. Now you can scan them to plex or kodi whatever you use which should now come up with the correct meta data.